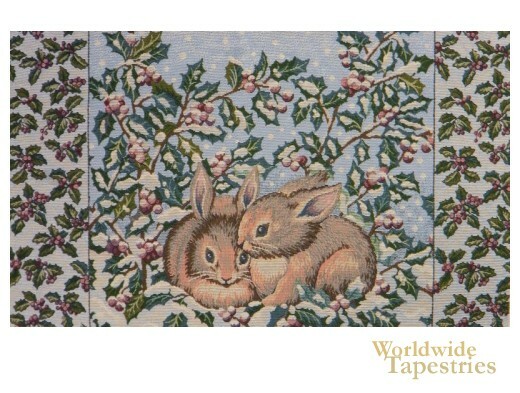 In this tapestry "Holiday Bunnies", we see two bunnies cuddling together in the snow. In mid winter, the rabbits are on the ground surrounded by holly in a snowing scene. Perfect to light up the spirits, this tapestry "Holiday Bunnies" is backed with a lining and has a tunnel for easy hanging. Dimensions: W 26" x H 16"